Two Virginia Tech students, a man and a woman, are accused of carefully plotting the murder of a 13-year-old girl, prosecutors said Thursday. 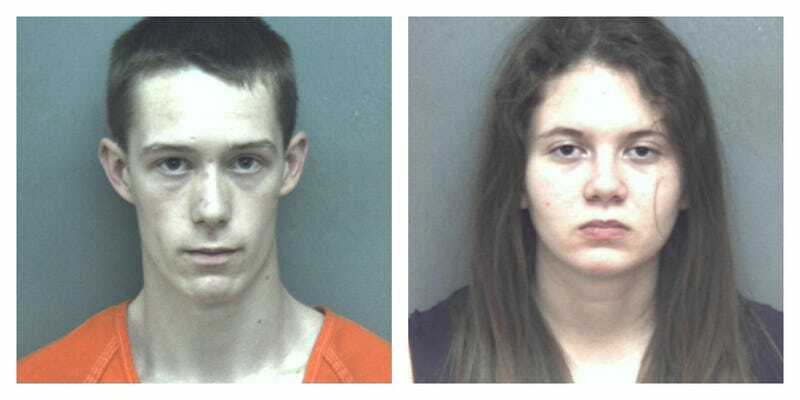 David Eisenhauer, 18, and Natalie Keepers, 19, are charged in connection with Nicole Lovell’s death. An anonymous law enforcement source told CNN they believe the motive for the crime was to conceal the fact that Eisenhauer was molesting her. Lovell, who was in the seventh grade, was found dead Saturday; her parents told police she’d gone missing three days before after pushing a nightstand against her door and climbing out her bedroom window. A preliminary investigation revealed that she was stabbed to death, prosecutors said. Eisenhauer and Keepers were both arrested over the weekend; both are engineering students. Eisenhauer was charged with abduction and murder, while police initially said they believed Keepers had helped hide Lovell’s body after she died. She was first charged with improper disposal of a body and being an accessory after the fact. Eisenhauer told Keepers how he would lure Nicole out of her home one night, take her to a remote location and use a knife to cut her throat, the prosecutor said. After leaving Cook Out, they drove by Lovell’s home, Pettitt said. Police arrested Eisenhauer on January 30, three days after Nicole disappeared. Eisenhauer denied involvement in killing the girl. Investigators said they believe Eisenhauer had an inappropriate relationship with Nicole, a law enforcement official said. The girl was planning to expose their relationship, the official said, and investigators think this was the motive for killing her. Pettit also said that after the killing, prosecutors believe the two put Lovell’s body in the trunk of Eisenhauer’s car, then bought cleaning supplies and a shovel at Walmarts in the area. Lovell had received a liver transplant when she was ten months old and was diagnosed with non-Hodgkin’s lymphoma three years later, which put her in a coma for six weeks. She needed daily medication, her family said. Both Eisenhauer and Keepers were denied bail by a judge.